The Town of Hudson is located on the east bank of the Merrimack River in southern New Hampshire bordering Massachusetts. It covers approximately 29 square miles and is home to about 25,000 people. Hudson offers quiet open spaces and an abundance of recreational opportunities including Benson Park, two golf courses, the Robinson Pond recreation area, a skate park, and a number of sports fields and facilities. Our Hudson School District serves approximately 4,100 students from Pre-K to 12th grade. Alvirne High School along with its Career and Technical Center offer numerous career pathway programs providing a well-rounded and advantageous education. 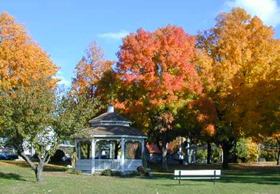 Residents of New Hampshire do not have to pay a sales tax or a state income tax, and the Town of Hudson NH offers a sustainable and stable growth while having one of the lowest tax rates in southern NH. In addition, Hudson provides superior infrastructure and has developed into an industrial and commercial center thanks in part to its proximity to critical highways. Minutes away from major access corridors, Interstate 93 and NH Route 3, so destinations such as Boston, New City and all other parts of the northeast are easily can be easily traveled. Manchester-Boston Regional Airport is located just 20 minutes north and Logan Airport Boston is less than an hour south for ideal business development and growth.